Offering a new way to ‘see’ the doneness of eggs while they are cooking, the Egg-Perfect Egg Timer represents cooking progress visually. 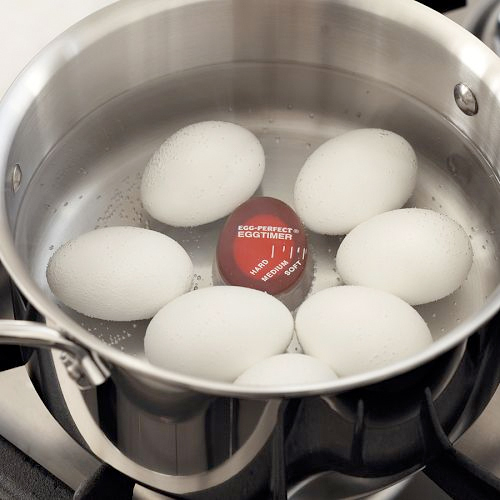 When placed in a pot of cooking eggs, it absorbs heat and changes color as it ‘cooks’. Easy-to-follow markings alert you to when the eggs are done to your liking. From soft-boiled eggs to hard-boiled eggs, the little timer keeps track of the cooking for you—as long as you remember to watch the pot.